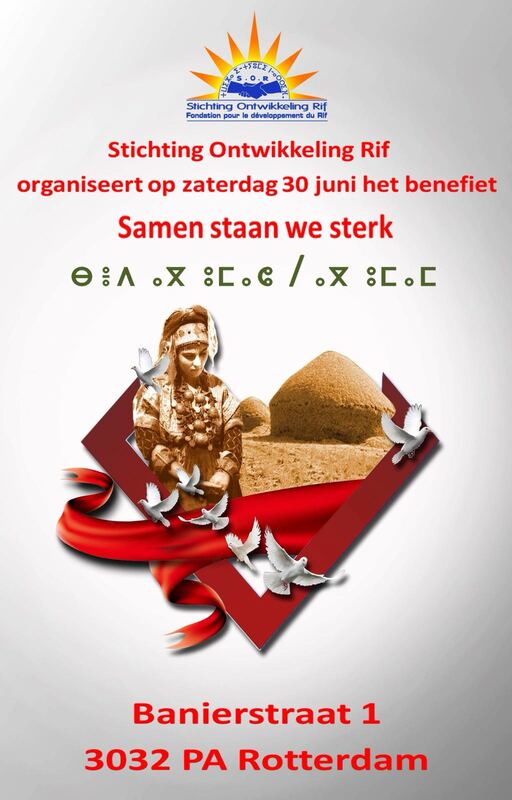 On 30 June 2018 Stichting Ontwikkeling Rif (SOR) organises a charity event “Together we stand strong” . This will take place in the building Het Nieuwe Banier and the donations are intended for the families of the political prisoners in the Rif. SOR currently supports 80 families. With your help, this will become much more in the future! A large number of artists, co-workers and volunteers will give the best of themselves and will perform for free to collect as much money as possible for SOR. The children were also thought off. A children’s workshop starts from 16:00h. From decorating cup cakes, listening to Amazigh poetry to painting on a canvas. So come along!